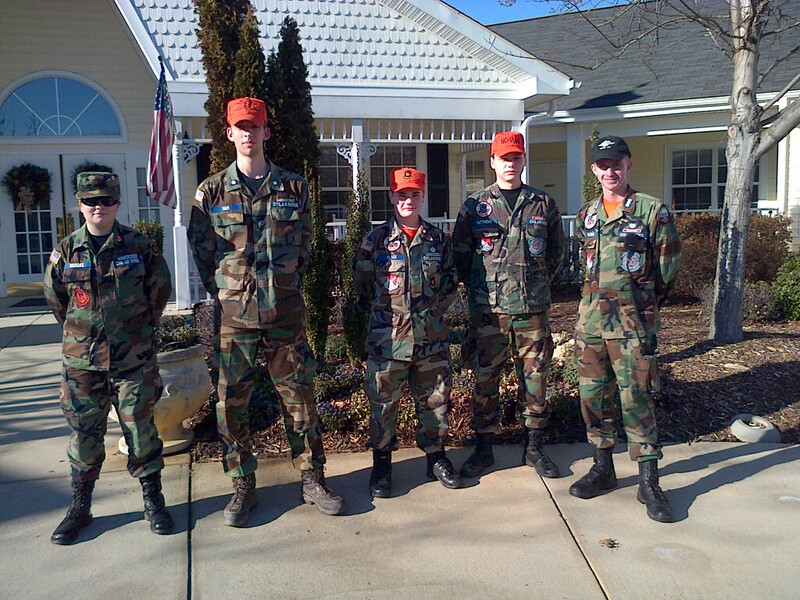 The Orange County Composite Squadron participated in the Civil Air Patrol’s SAREX Mission on January 17, 2015. 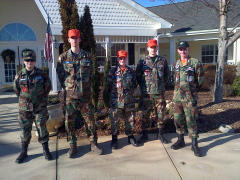 Cadets from the squadron dispatched as part of Ground Team 9 with cadets from the Raleigh-Wake squadron. Under Ground Team Leader Maj Pete Bohler, a former Airborne paratrooper, Ground Team 9 was tasked with locating a missing alzheimer’s patient in Orange County, NC. The ground team traveled to the Carillon Assisted Living facility in Hillsborough, NC, the last known sighting for the missing patient (Point Last Seen.) At the facility, Maj Bohler showed the cadets how to gather pertinent information about the missing person - e.g., physical description, clothing, medications and point last seen. He then worked with maps and GPS to create a search plan and to determine the Search Area. Following the search plan, the Ground Team traveled to the nearby Occoneechee Mountain State Park. At the park, the team interviewed the park ranger and hikers to obtain information about possible sightings of the missing patient. As the search commenced, Maj Bohler taught the cadets about different types of ground searches and used a line search to look for initial clues. As clues from the missing person were spotted by the team, the Ground Team Leader explained how clues were processed and called into HQ. During the search, Maj Bohler explained to the cadets that, “alzheimer and dementia patients tend to follow open paths and trails and to travel downhill - the path of least resistance.” This pattern turned out to be accurate in this case, as the missing person was eventually located down a series of hills. Once located, the missing person (played expertly by Capt Pete Wehr, Commander of the Orange County Comp Squadron) was evaluated by the Ground Team Leader and team medic. The missing person’s location was radioed in to the ICP and he was then evacuated out by the team. In addition to the Ground Team, Lt Ron Watkins of the Orange County Composite Squadron participated in the SAREX as a Communications (radio) Unit Leader at the Incident Command Post at RDU airport.